During its March board meeting the Lynbrook Chamber of Commerce formally announced its plan of initiatives to revitalize the state of business in the Lynbrook community and to rebrand the Lynbrook Chamber of Commerce. Lynbrook, NY - April 15th, 2013 - During its March board meeting the Lynbrook Chamber of Commerce formally announced its plan of initiatives to revitalize the state of business in the Lynbrook community and to rebrand the Lynbrook Chamber of Commerce. The Lynbrook Chamber seeks to provide local businesses an economic boost through various new programs like a Shop Local Lynbrook Loyalty Card program and by announcing the debut of its newly improved website and Facebook page. In February the Lynbrook Chamber of Commerce board approved the new Lynbrook Chamber website design. The new website www.LynbrookChamber.org should prove to be a valuable resource for local Lynbrook businesses and the residential community alike. The website has been designed to showcase the Lynbrook business community and the village of Lynbrook. The new Lynbrook Chamber website will promote the Shop Local Lynbrook program and also allow businesses to announce promotional events and to offer printable coupons to the community at large. The website will be supported and widely promoted through social media on the Lynbrook Chambers new Facebook page, www.facebook.com/LynbrookChamber. Through the Lynbrook Chamber Facebook page the community will receive immediate updates on all local chamber and community events and merchant promotions as well as exclusive Facebook Fan deals! In addition to the new Lynbrook Chamber website and Facebook page the chamber will be rolling out its Shop Local Lynbrook loyalty card program this summer. The loyalty card program will be distributed to all 22,000 plus village residents with the Lynbrook Almanac. The loyalty card program will offer Lynbrook residents valuable exclusive discounts at all participating chamber merchants such as restaurants like Vincent’s and retail shops like the Lynbrook Irish Shop just to name a few. Many local Lynbrook businesses owners are excited about the Shop Local Lynbrook program, and are eager to join the chamber in order to participate in this effort to fight the effects of the recession locally. 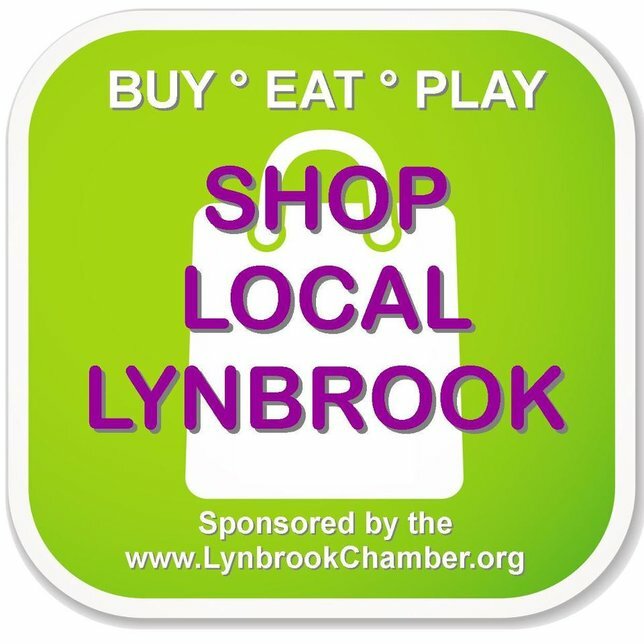 The Lynbrook Chamber is promoting shopping with local Lynbrook merchants because when the community shops locally more community dollars stay within the community making Lynbrook Village a great place to live. The Lynbrook Chamber also plans to launch a Logo Competition this may. This competition to redesign the Lynbrook Chamber of Commerce logo will be open to students, residents and business owners alike. Winner of the Lynbrook Chamber logo competitions will receive a check for $250 and be featured in all the media coverage surrounding the event. The aim of the logo competition is to include the community in the revitalization. Through the redesign the Lynbrook Chamber hopes to make its logo a better representation of the great community we call Lynbrook. To learn more about the Lynbrook Chamber of Commerce, its programs and its members please visit www.LynbrookChamber.org or contact the chamber at irishjwlryco@optonline.net. Subject: LongIsland.com - Your Name sent you Article details of "The Lynbrook Chamber of Commerce Announces its Business Revitalization Plan"